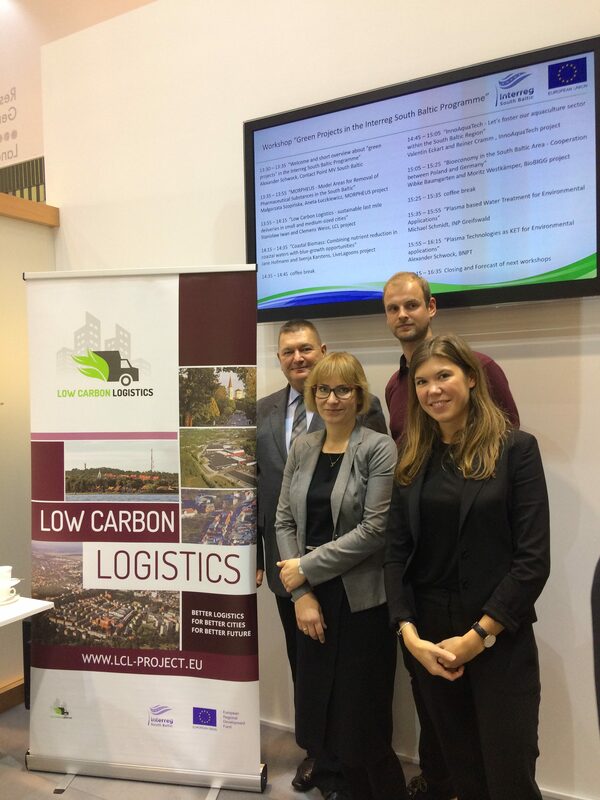 LCL team members, Clara Burzlaff from the University of Greifswald, Natalia Wagner and Mariusz Jedliński from Maritime University of Szczecin, and Clemens Weiss from Kompetenzzentrum ländliche Mobilität, participated in International Trade Fair of Environmental Protection POL-ECO SYSTEM on October 23 – 25, 2018, in Poznan, Poland. During the workshop devoted to Green Projects in the Interreg South Baltic Programme we had the opportunity to present our goals and achievements. We are very pleased with warm reactions of the audience to the presented LCL project activities.